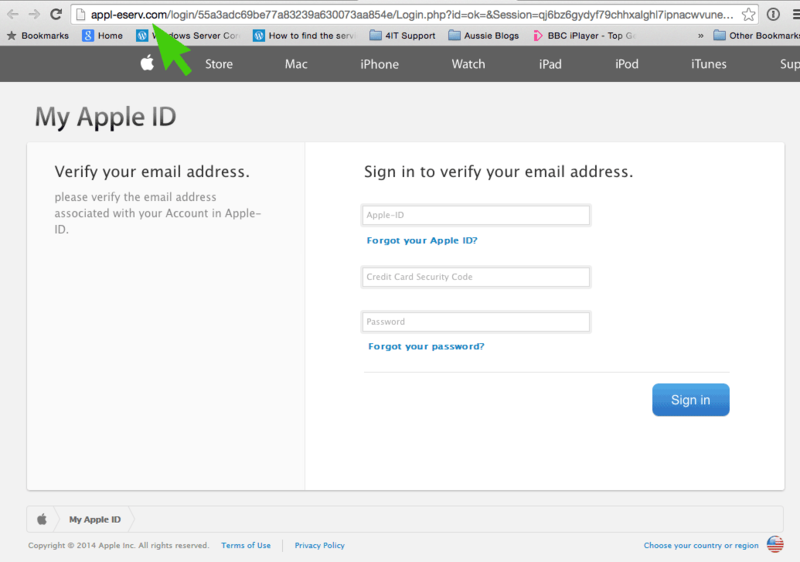 Here’s a quite obvious example of an Apple Store Phishing Email. 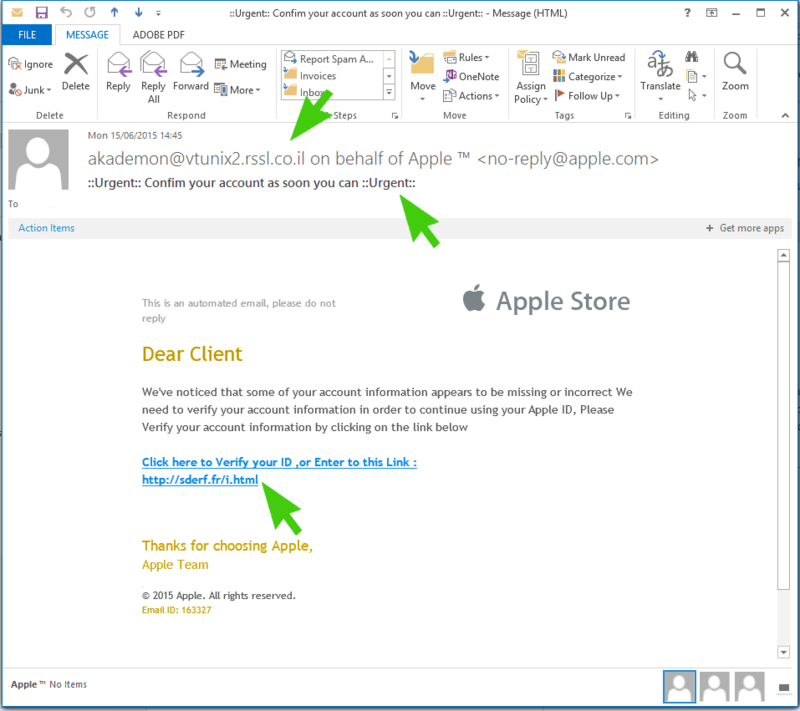 There are a number of immediate clues that the scammers have not put in much of an effort. If they new anything about response rates they could have easily made this one more authentic looking but I’m sure they’ll catch some unsuspecting people out. The link to http://sderf.fr/i.html certainly doesn’t seem legitimate. The Website Itself actually looks pretty authentic. It’s almost like they had two separate people working on drafting the email vs creating the website.